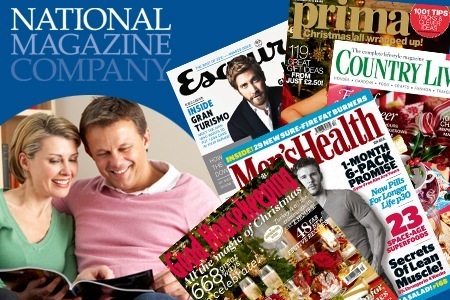 Work Experience Snapshot: The National Magazine Company | One year, one job. I enjoyed five days working in the Sales and Marketing department. I had just turned seventeen when I entered the NatMags (now Hearst) offices off Carnaby Street. I was young and very eager to make the most out of my first media work experience. I’d found myself the week-long placement through a family friend and, owing to strict 18+ regulations in the editorial departments, I found myself working in the Sales and Marketing department. Half of the week was spent in print marketing, the other in digital. I completed basic takes such as pulling images and statistics from a program to do with circulation, tested links on websites and had the amazing chance to have a one-on-one chat with an editor at Good Housekeeping magazine (I was in my ‘I want to be a food/travel journalist’ phase). Oh, and I got to experience the elbowing of a £1 Cosmo Beauty Sale where a mass emails got sent and everyone in the offices stopped what they were doing and ran to the Cosmopolitan floor. It was a little bit mental. All in all, it was a great first insight into the media industry. I don’t feel I did heaps to help me progress with my career, but retrospectively I realise how fortunate I was to be spending a week at such a hugely influential company. Also looking back, I definitely wouldn’t mind pursuing a career in a similar department.